Most men are mere toys in the hands of Time and very often we find unexpected men coming to occupy unexpected positions at unexpected times. But rarely do we find unplanned developments setting good precedents for the society at large. Though we had a couple of earlier Prime Ministers from this category, the assumption of office by Dr. Singh has opened up a golden opportunity for Indian democracy. Even if we have to admit that it was a clear distortion (and hijacking) of mandate, the precedent can prove advantageous for Indian democracy, if it is utilized properly. 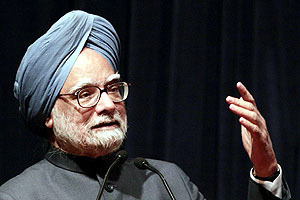 To a large extent he is the first apolitical chief executive for the highly politicized Indian democracy. He might have landed on the chair thanks to specific reasons, but his erudition and academic brilliance must set the long lost meritorious precedence for the most difficult job in the world viz. Prime Minister of India. In a way it is good times for India now. In addition to an erudite Prime Minister we have one of the best brains that India ever produced as the President of the country. No other President has given us so many ideas and suggestions for improvement. It is definite failure on the part of each of us if we could not heed to any of his ideas and improve ourselves. Very rightly he targeted the children for first hand dissemination of ideas. We can rest assured that at least 10% of them will develop wings of fire and make India proud. 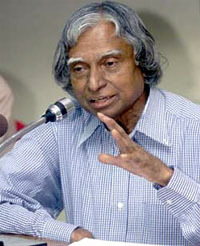 President Kalam has already indicated his unwillingness for a second term and another term for the incumbent PM is almost out of question. It is in this historical context that opportunity is presenting two brilliant candidates in front of us. Whatever way we look at it, the logical step from Kalam to Murthy cannot be missed out. If one has presented brilliant ideas, the other one has demonstrated miraculous dexterity in implementation of ideas. To build up something like Infosys from scratch with little capital and lot of knowledge is a feat achievable only by the likes of Narayana Murthy. India of twenty first century is leading the world in knowledge and we desperately need the guidance of Murthys to capitalize on this advantage. Countries like China will overtake us in every field if we cannot consolidate our unique advantages in the next one decade. 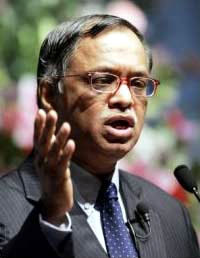 Narayana Murthy has demonstrated his unparalleled leadership qualities many times in his own field and related ones. Moreover he is a thoroughbred Indian technocrat who understands India and Indians like no one else. His capacity to 'think globally and act locally' can provide the right mix to inspire young entrepreneurs of India. If Kalam could stimulate the children of the country, Murthy will do the same with the youth of the country. What India needs today is 'out-of-the-box' ideas and ability to 'think really big'. There is no better candidate than Murthy who could guide us better today. He commands respect and he can lead the nation by example. In contemporary India, there is no one who has achieved so much in the fields of journalism, economics, administration and culture than Arun Shourie. After his extra-ordinary performance in journalism as the redoubtable Editor of Indian Express, there were many who had dismissed him as a mere paper tiger. To the admiration of those (like me) who adore him and to the dismay of his distracters, his subsequent performance as a historian who understands history and administrator who knows his job has been outstanding. We have many learned and eminent historians like Thapar and Panicker who are unwilling to learn from history for extraneous reasons. In their midst, Arun Shourie, who is not a historian by training, was a shining example of how an Indian historian must interpret and learn from Indian history. He presented the picture of an Indian sage who understands the absolute necessity of trustworthy soldiers around a peaceful ashram to protect the champions of ahimsa. It goes to his credit that he alerted Indian mind against the mechanizations of foreigners who have been 'servicing' India for decades in education, social service and cultural 'uplift'. Communism, pseudo-Secularism and eternal-Reservation also got thoroughly exposed and discredited under his piercing arguments based on facts and figures. Disinvestment and dismantling of trade barriers found a meaning in government corridors only after he took over the respective ministries. 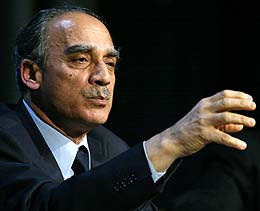 In every sense of the term, Arun Shourie easily classifies himself as one of those ancient Indian seers who combined erudition, morality and profound wisdom. Given a chance, he is sure to take India to the very top in the next five years. The only condition that we should put is that he should get elected to Lok Sabha and do not attempt a back door entry through Rajya Sabha. Our typical reaction in such demanding situations is to look for reasons to oppose. Murthy and Shourie may or may not belong to any vote banks, ideological groups or even pressure groups. All those who want a Harijan for the sake of upliftment of so-called Harijans must remember that it was a non-Harijan like Mahatma Gandhi who did anything for Harijans in recent times. The Jagjivans who amassed wealth beyond their own imagination and Narayanans who cried annually citing inability to help anyone except immediate family are bad examples for repetition. It would be mere waste of time and effort to hunt for Harijans and Minorities just for the sake of it. Murthy and Shourie will provide the best combination that can accelerate India's growth and economic development beyond our imagination. And only when the nation develops will the Brahmins, Harijans and Minorities can develop. In India today ' 'North or South, Murthy and Shourie are the best'. Let us hope good sense prevails among all political parties and its leaders.